Dropbox tip: Save your email attachments directly to Dropbox! 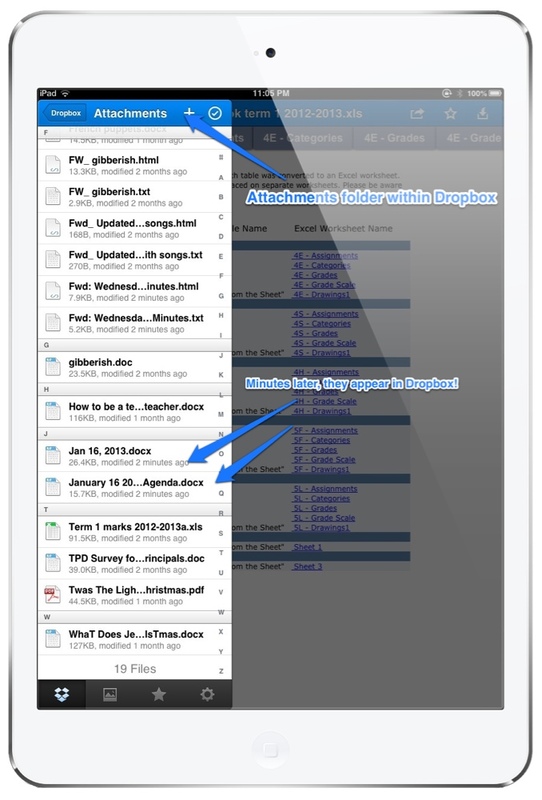 We all know Dropbox is a great tool for placing files onto your iPads. It is a service that allows you to store your documents online and view them on all your computers, mobile devices, and even on any computer via its website. Having Dropbox has literally freed me from EVER plugging in my iPad to my computer to transfer any files. Here is a another quick Dropbox tip for all of you, sendtodropbox.com is a free service that will save your attachments directly into a specified folder in your dropbox. It is not an “app” in the traditional sense, but rather a third-party Dropbox service. It has been around a couple years already, but I’ve only recently begun using it. 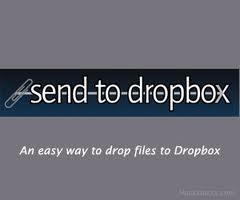 You will be assigned a special “sendtodropbox” email address which will resemble “yournamehere123@sendtodropbox.com“. Record it. That’s it! Now, whenever you receive an email with an attachment, simply forward it to the address. 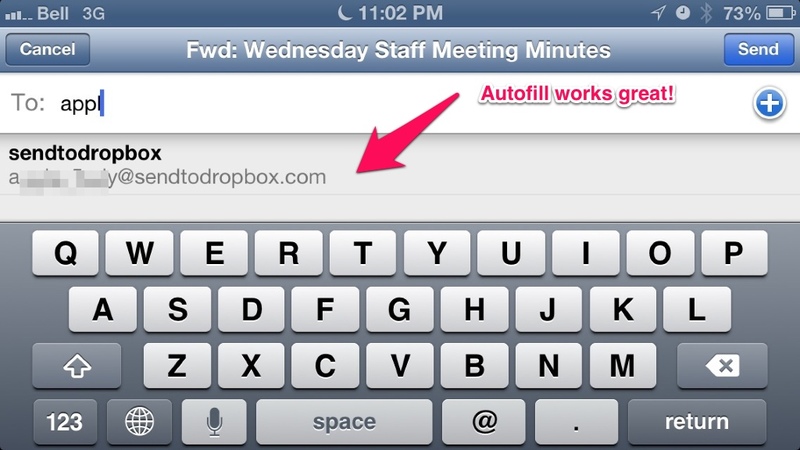 Autofill on both the Mail app and email clients like gmail make it a cinch. Just start typing the address, and it will appear. All attachments will be defaulted into a single folder in your Dropbox titled “Attachments” (You can change the folder in the settings when you first sign up if you wish). I’m sure a lot of our email inboxes are full of emails with attachments on them. How often do we check them, or even remember that we have them, after an extended period of time? This process will at least help us organize them in a more permanent and visual folder. On my iPhone, at 11:02PM, I forward the staff meeting minutes to the sendtodropbox email. If you feel comfortable, give your students the sendtodropbox email address for when they need to email you assignments. Have them directly email it there. That will at least reduce some work for you to organize them. Save any collaboration documents (keynotes, excel files, powerpoints, even mp3s) between you and your colleagues. You can even have a shared “Attachments” folder if you wish between your grade team. Once you begin to have a lot of files in this folder, you can use an app like Airfile to move them around if you wish to further organize, perhaps by grade or class if you are collecting assignments this way. If you are particularly concerned about security, sendtodropbox will not store or keep any of your attachments, but instead only stores your actual Dropbox ID. Since I am using the iPad more and more and the PC less and less these days, this is a great way of saving a few steps in saving to Dropbox. Check it out and let me know in the comments what you think of it, or if you have any other ideas for taking advantage of this. Check if you set it up properly. Is there an “Attachments” folder? Did you type the email address correctly? Let me know. same problem as Adrienne above. Yes, setup ok, but still do not see attachments in dropbox??!!! Really good article – I think an alternative like http://www.mail2cloud.io or save.mail2cloud.io adds a little more benefits. the original email is stored as a PDF and .eml. Does sendtodropbox do that? Not sure. You can also use mail2cloud with any other cloud storage provider, so if you have multiple storage accounts or switch things up you can stick with one tool. I’ve tried it several times, but it’s hit or miss. When I log in to the dropbox.com website, I can see all the emails I’ve sent. If I look on the app on my phone, I can see all the emails I’ve sent. But when i look at the desktop folder on my office computer, I can only see some of them. Anyone else have this problem?